Cooking with the Power Cooker Pressure Cooker not only saves you time but saves family time! This convenient cooker is perfect for anything from breakfast to desserts, and everything in between. 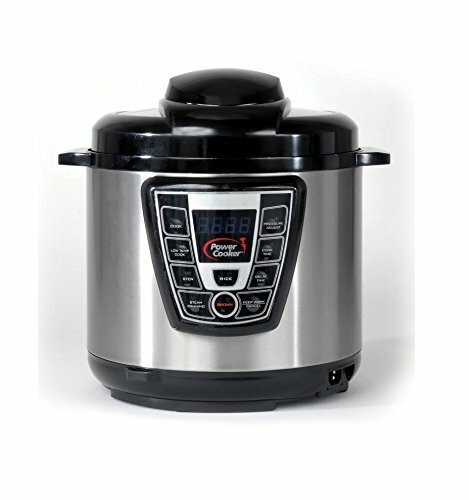 The pressure cooker will help keep all your favorite foods nutrients, vitamins, and flavors sealed inside. It infuses meats and seafood with intense flavor without added fats and makes your vegetables nice and crisp. Not only is this pressure cooker a time saver but an energy saver as well. with the flavor of slow cooking, makes succulent, slow-cooked meals 10 times faster plus saves time and energy. The Power Cooker Pressure Cooker is the modern-day kitchen miracle that will change your life. No accessories included. If you have any questions about this product by Power Cooker, contact us by completing and submitting the form below. If you are looking for a specif part number, please include it with your message.